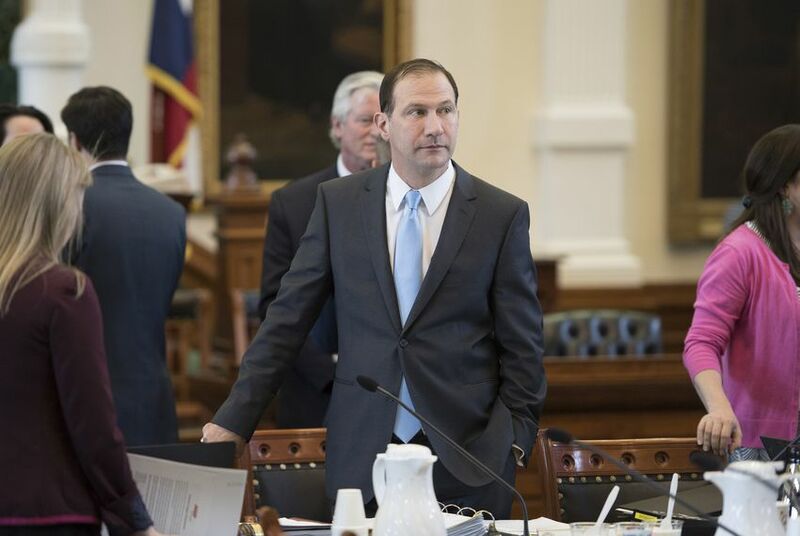 Lawyers for state Sen. Charles Schwertner, a Republican from Georgetown, revealed the hire Wednesday and again denied allegations that their client sent lewd messages to a UT-Austin graduate student. A UT-Austin spokesperson declined to comment, saying officials do not acknowledge or discuss ongoing investigations in order to protect the integrity of the process. Sutton could not be immediately reached. In September, three unnamed UT officials told the Austin American-Statesman that the school had opened an investigation into the senator, whose district includes College Station and Huntsville, after he was accused of sending a graduate student a sexually explicit photo and text. Schwertner has repeatedly denied the allegations through a spokesperson and through his lawyers. Schwertner is "devastated that the graduate student involved received any texts of this nature from anyone," the lawyers, Perry Minton and David Minton, said Wednesday in a press release that also said the senator had taken a polygraph test and that the results backed his denial. By hiring Sutton "to help resolve this matter, the University has engaged one of the most experienced and fair-minded investigators around," the lawyers said. Sutton was recently contracted by UT to conduct an internal review, after a former employee of the law school was arrested amid a fraud investigation involving potentially millions of dollars. The lawyers also said the university officials who spoke to reporters should be "identified, questioned and terminated" and that the "leak" was made "in order to damage Senator Schwertner in the middle of a political campaign. There is no other plausible explanation." Clarification: This story has been updated to more precisely reflect how the Austin American-Statesman characterized its sources in its report. Disclosure: The University of Texas at Austin has been a financial supporter of the Tribune, a nonprofit, nonpartisan news organization that is funded in part by donations from members, foundations and corporate sponsors. Financial supporters play no role in the Tribune's journalism. Find a complete list of them here.